Epic’s Paragon went live with its Early Access phase last week on both PC and PlayStation 4. While the game will be completely Free-to-Play (F2P) from the Open Beta due for this Summer, you’ll need to buy one of the Founder Packs in order to join the fray now. 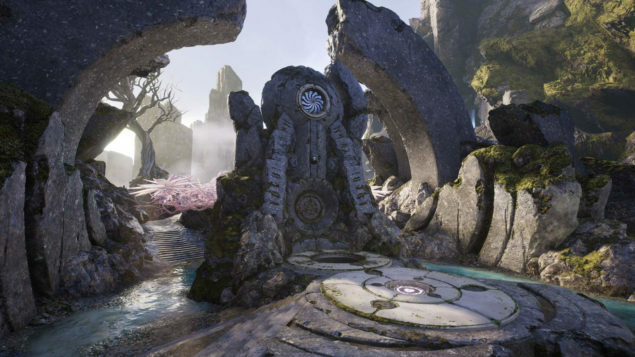 Obviously, Paragon is quite a sight to behold in terms of graphics and Epic just published the GDC 2016 presentation detailing its creation in Unreal Engine 4 on YouTube. Martin Mittring and Benn Gallagher hosted the talk and a few of their slides are definitely worthy of our attention. 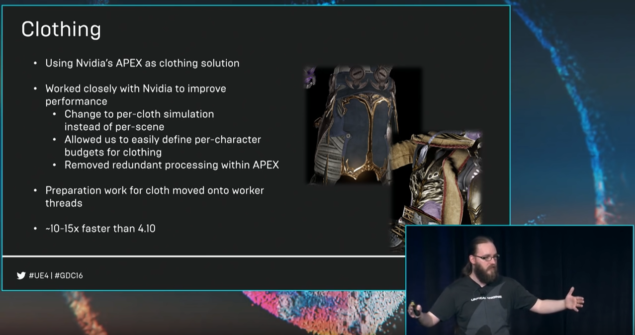 The first one confirms that Paragon will run at 900P (for 3D rendering, while the UI will be rendered at 1080P) on PlayStation 4 in order to achieve the previously announced 60FPS. Epic is using NVIDIA’s APEX as the clothing solution for Paragon. 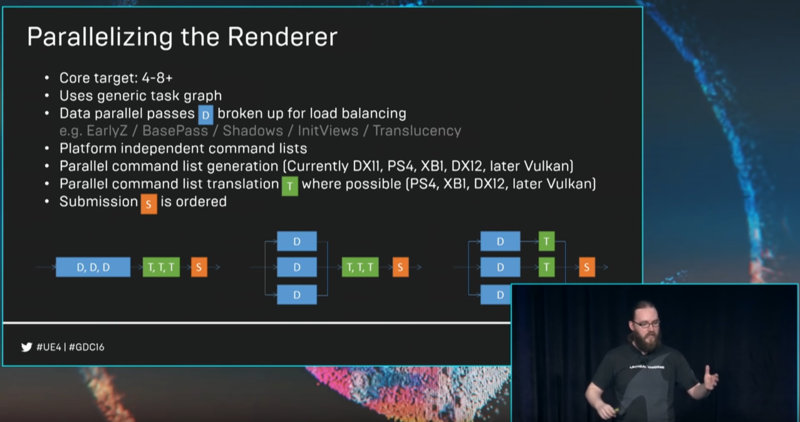 They have worked closely with NVIDIA to improve performance and the result is a huge boost in the game, ranging from 10 to 15X increase compared to standard UE4.10. Perhaps the most intriguing tidbit, though, is the hint about a potential Xbox One port of Paragon. When the talk moved to the topic of parallelizing the Renderer, the parallel command list generation and translation included Xbox One among the platforms as you can see in the snapshot below. Now, why would they have Xbox One in that list if there wasn’t a strong chance of Paragon releasing on Xbox One in the future? Obviously it’s still just a rumor for now, but coupled with the fact that Microsoft recently opened crossplay to networks outside Xbox Live and that fans have been very vocal about their desire to see this version, it seems likely that owners of the latest Xbox might get the third person MOBA at some point. In case you haven’t yet, check out our exclusive interview with Creative Director Steve Superville.